Title : Hardeep Pandhal, Konfessions of a Klabautermann, (detail), 2017 Printed plastic and powder coated steel Berwick Film & Media Arts Festival 2017 and Berwick Visual Arts. Credit : Copyright Ryan Gander. 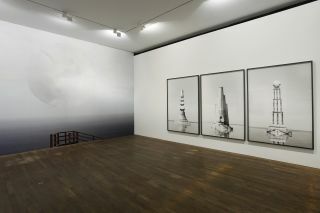 Courtesy the artist and Lisson Gallery. Image Jack Hems. 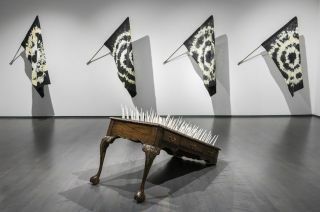 South London Gallery celebrates the opening of its new space with an exhibition that explores comedy in contemporary art. 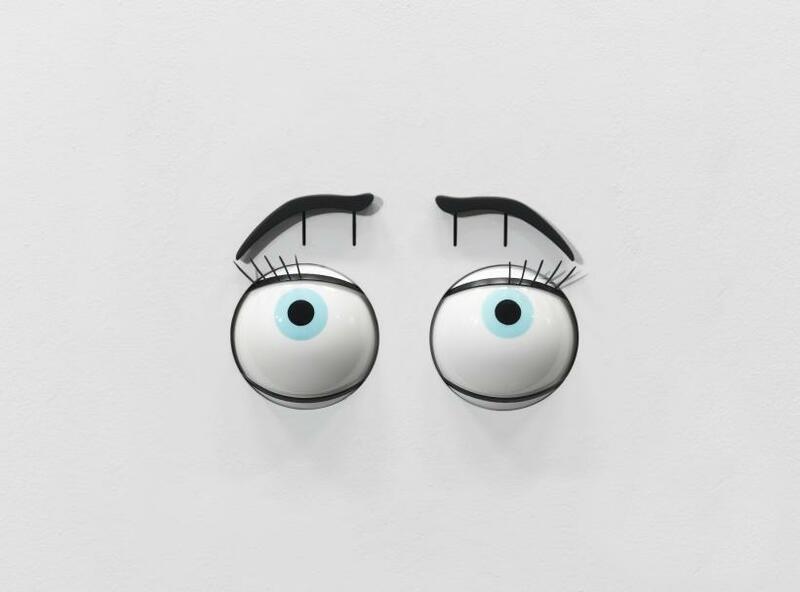 Curated by its Director, Margot Heller, with artist Ryan Gander, the show is an engaging exploration of humour in its many forms. From the illusory practical joke, to works that entertain absurd cultural paradox, the show reaches high and low to amuse. 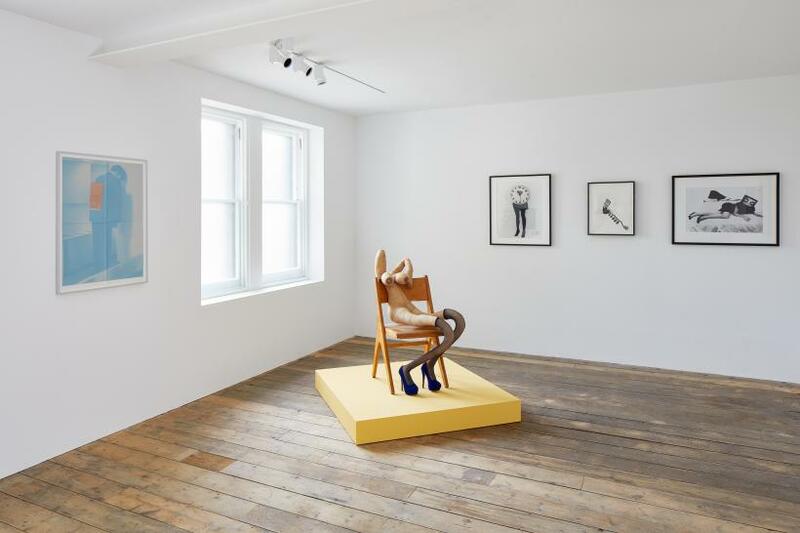 Spread over South London Gallery’s main exhibition hall and three floors of its new annex in the former Peckham Road Fire Station, the exhibition includes works by 36 artists, some names more predictable than others, but all works range in scale, medium and comedic device. Despite the show’s title, which has been taken from Roy Lichtenstein’s ‘Knock, Knock Poster’ (1976) and which appears in the main gallery, the exhibition refuses the monotony of formulaic joke-telling and instead employs irony and cynicism to create moments of discomfort and menace. In the main exhibition hall Pilvi Takala’s video, ‘Real Snow White’ (2009), looks at the absurd notion of authenticity within the weird and wonderful world that is Disneyland. 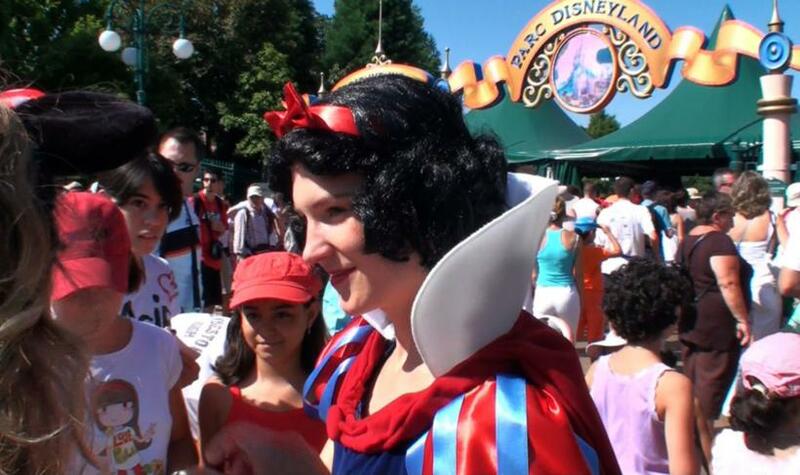 The artist, donning a full Snow White outfit, repeatedly attempts to enter the theme park and is over and over again turned away for not being the ‘real’ Snow White. The irony is further heightened when security are forced to explain that she cannot enter for fear that she might do something bad, therefore shattering the innocent fantasy surrounding its characters, a fantasy that Disney tries so hard to safeguard. 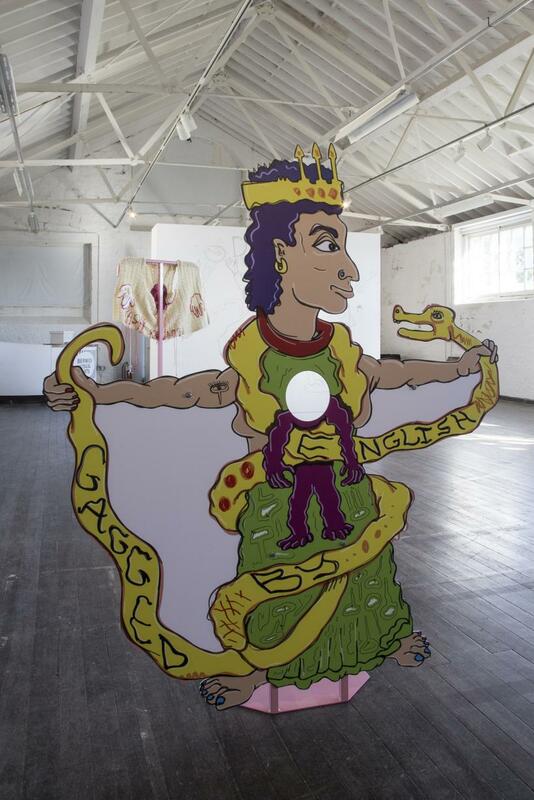 At the other end of the hall Hardeep Pandhal’s slightly larger than life size cut outs, each titled ‘Untitled’ (2017), play with the format of the comic foreground. This typical tourist trap, commonly associated with the British seaside, is instead used to display satirical explorations of cultural identity and political resistance. Across the road in the new annex, Ugo Rondinone’s ‘If There Were Anywhere But Desert’ (2002) occupies its own ground floor space. 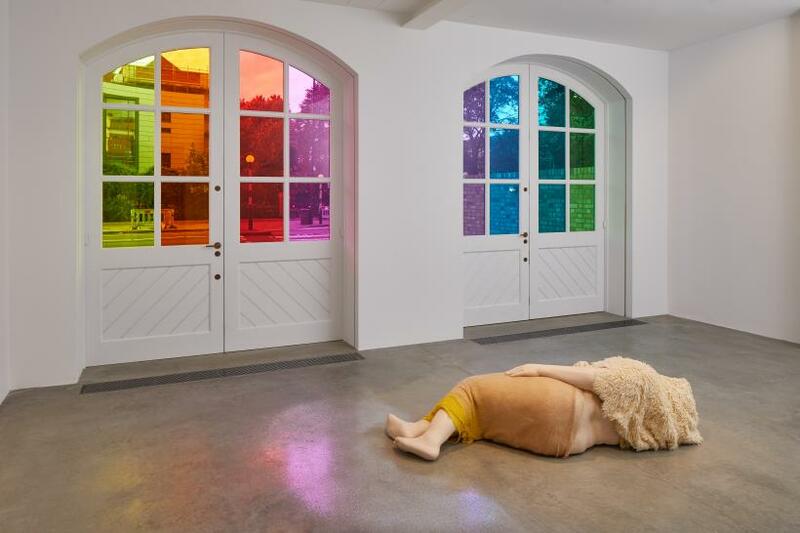 Soaked in neon light and with its back to the gallery door, the sleeping figure is only revealed as a clown when approached and seen from the other side of the room. Creeping up on the unidentified body plays with the chilling image of the evil clown which is then flipped by the man’s exposed beer belly. Upstairs, Harold Offeh’s video ‘Smile’ (2001), in which the artist maintains a grin for the 34-minute duration of Nat King Cole’s well-known melody, is another example of the way the exhibition delves deep to present the ‘funny’. Offeh’s video offers the smile as something superficial, often a mask for a deeper more nuanced human emotion. Also presented in the annex is Danielle Dean’s video ‘She’ (2017) which attempts to deconstruct commercial narratives, branding and advertising strategies often making them seem comical or ridiculous. 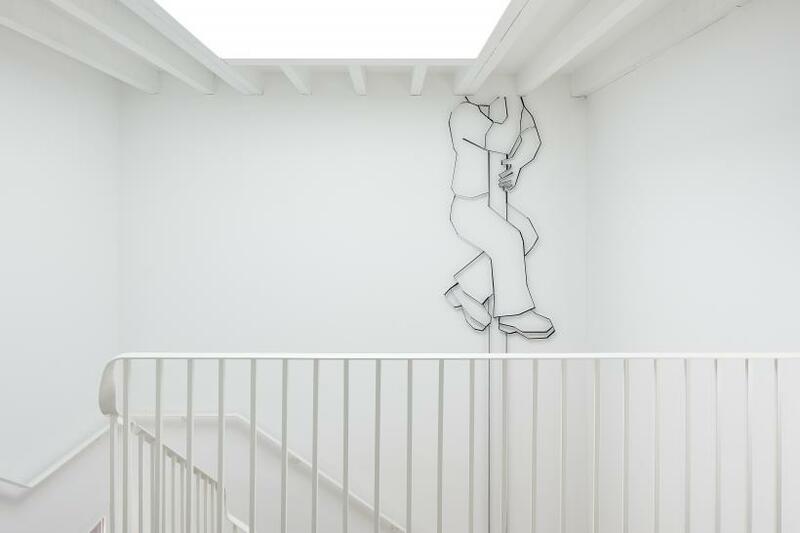 The video is fore-grounded by Dean’s ‘Keep Out of Reach of Children’ (2017), a suspended sculpture reminiscent of a baby mobile but giant in size. Here, a play on words is finally offered as the sculpture is literally out of reach of children. 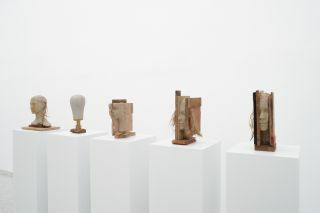 While many of the works in the exhibition fail to generate actual laughter, this is not the point. 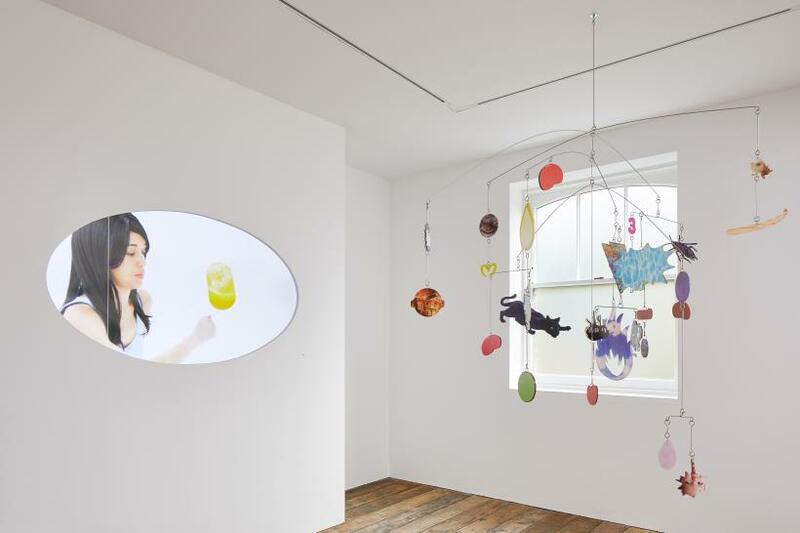 The exhibition instead reveals the many ways in which humour and comedy are employed to think about, engage with and critique the more complex and layered nonsensicalities of contemporary life.